Philadelphia Workers’ Compensation Attorney – Can I See My Own Doctor If I am Injured at Work? Can I See My Own Doctor If I am Injured at Work? Lawyer discusses workers’ compensation rules regarding which healthcare providers you can see when you are injured in the workplace. Pennsylvania workers’ compensation attorney, Rand Spear, is often asked about the restrictions on which doctors you are able to see when you suffer a workplace injury. Many people want to see their own doctor but are told they must see a specific company-chosen doctor. Here, Rand Spear explains the restrictions and what you need to do to ensure you receive workers’ compensation benefits. Generally speaking, you do have to see a company-chosen doctor if you are injured at work. However, there are some exceptions. Employers who carry workers’ compensation insurance typically have a list, or panel, of doctors posted at your workplace. These doctors must be licensed to practice medicine and be considered qualified professionals who provide competent treatment. 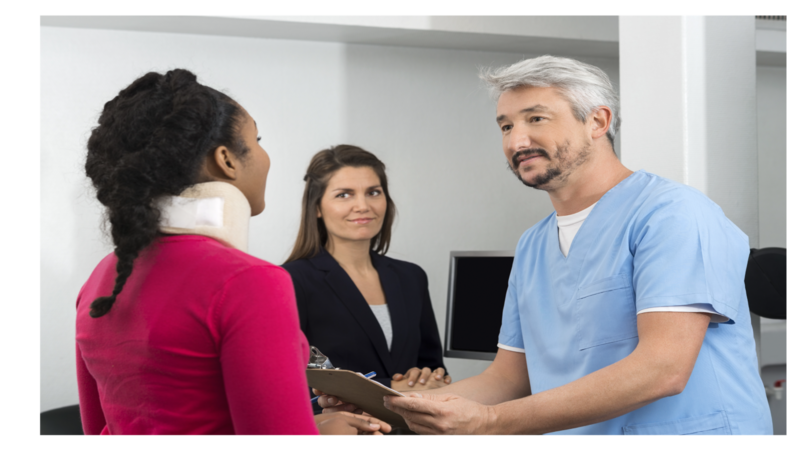 If you are injured at work, and there are at least six doctors listed on the notice your employer has posted, you must choose one of those doctors to see for treatment of your injury – for at least the first 90 days following your injury. After the 90 days is up, you are able to transfer your treatment to your own doctor. To do so, you have to provide notice to workers’ compensation within five days of the change of doctors. If your employer doesn’t have a posted panel of doctors for you to choose from anywhere at your workplace, then you can choose to see your own physician immediately following your injury and have your bills covered. You also have the right to request a change of physician after you have seen a doctor on the panel. However, a change of doctor can only be requested one time during the course of your treatment. When you submit your request, the insurance carrier has five days to choose a new doctor for you to see. If they do not do so within that time frame, then you have the right to go to the doctor of your own choosing. If you have been injured at work, you do have the right to seek help from your own attorney. A workers’ compensation attorney will be able to explain your options regarding doctors, treatment, and benefits and represent your rights and best interests. Contact experienced Philadelphia workers’ compensation lawyer, Rand Spear. Prior results cannot and do not guarantee or predict a similar outcome with respect to any future case. Recoveries always depend upon the facts and circumstances of each case, the injuries suffered, damages incurred, and the responsibility of those involved. This article is not to be considered advise, only the execution of the contingency agreement with this law firm will constitute an attorney client relationship.The contents of this article are for general information only. If you would like to pursue a claim please contact an attorney immediately to discuss your specific facts and circumstances regarding your claim. Some cases accepted by this law firm may be referred to or worked on by other lawyers, depending on the area of practice and specifics of a particular case.